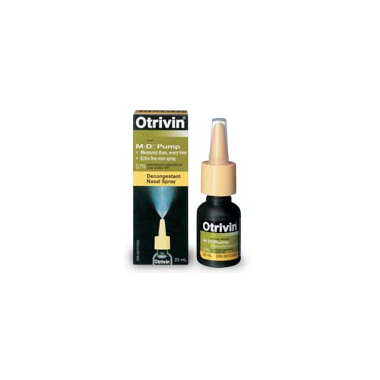 Otrivin with M-D Pump delivers a controlled, measured dose of extra fine mist spray every time. It gives you fast, long-lasting relief of nasal congestion due to colds, sinusitis and allergies. Usage: May be used every 8-10 hours, do not exceed 3 applications daily or exceed the recommended dosage. Nonmedicinal Ingredients: benzalkonium chloride, di and monobasic sodium phosphate, disodium edetate, purified water, sodium chloride.